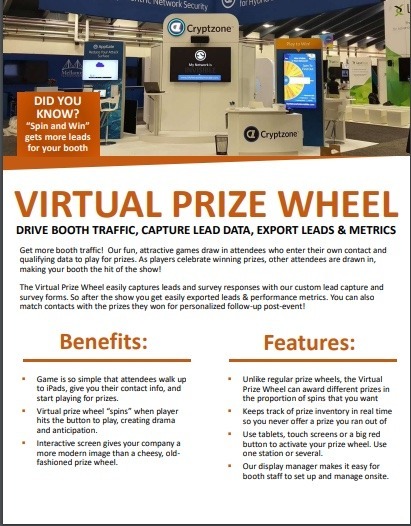 Learn more about how our Virtual Prize Wheel will help you drive booth traffic and capture leads. Get a pdf to read the details and share with your team. Complete this form to receive a digital download of the Virtual Prize Wheel brochure. Review and share with your colleagues! Attendees are excited to take a spin at your prize wheel. They are happy to talk to your booth staff for a chance to Spin to Win.